It can be a slow process, but having your child adapt to being around other children, observe them in an appealing activity, and eventually imitate them, can successfully redirect self-stimulatory behavior. 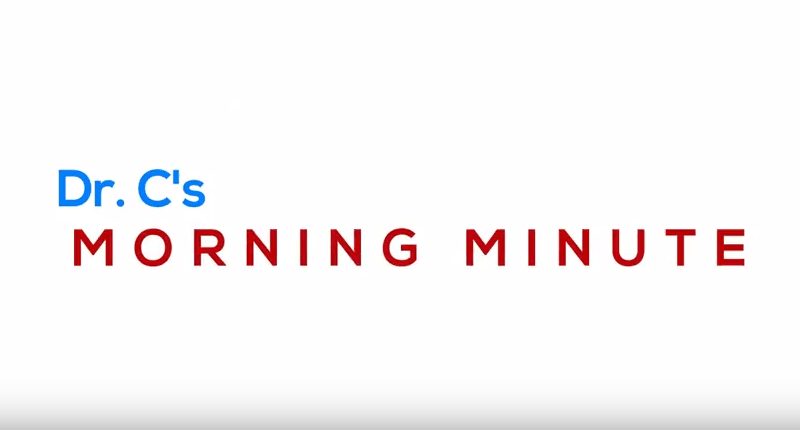 Learn more on today’s Dr. C’s Morning Minute. Share your thoughts and questions below, or contact me at jcarosso@cpcwecare.com. The post “Joining” and “Pairing” to Redirect Self-Stimulatory Behaviors – Dr. C’s Morning Minute 163 appeared first on Help For Your Child- CPC WeCare Blog. Dr. Carosso has more than 30 years of experience as a licensed Child Clinical Psychologist and Certified School Psychologist working through his own practice, and in residential, inpatient, outpatient, school, and home settings. He is a partner and Clinical Director of Community Psychiatric Centers (cpcwecare.com), a licensed Behavioral Health Outpatient Clinic, and operates both the Autism Center of Pittsburgh (autismcenterofpittsburgh.com) and the Dyslexia Diagnostic and Treatment Center (dyslexiatreaters.com). Dr. Carosso, who holds a Graduate Certificate in Applied Behavioral Analysis in Special Education, has conducted more than 20,000 evaluations on children with autism, learning problems and dyslexia, attention-deficit, trauma, depression, bipolar, anxiety, obsessive compulsive disorder, and related difficulties. He has supervised dozens of clinical teams and regularly provides consultation to organizations, agencies, and parents at 6 office locations in four counties counties. Dr. Carosso also has presented at regional conferences, served on the advisory boards of local autism societies, and has served for over 10 years as an evaluator and expert witness in child welfare cases. He produces a video series, "Dr. C's Morning Minute," that provides helpful strategies for effectively managing childhood autism, ADHD, and behavioral, emotional and learning issues. Dr. Carosso formerly co-hosted the Live weekly PCNC cable television program "Community Psychiatric Centers Presents", targeting child mental health issues, and was a regular guest on various talk shows, including "Night Talk", discussing childhood issues and related current events. Dr. Carosso has more than 30 years of experience as a licensed Child Clinical Psychologist and Certified School Psychologist working through his own practice, and in residential, inpatient, outpatient, school, and home settings. He is a partner and Clinical Director of Community Psychiatric Centers (cpcwecare.com), a licensed Behavioral Health Outpatient Clinic, and operates both the Autism Center of Pittsburgh (autismcenterofpittsburgh.com) and the Dyslexia Diagnostic and Treatment Center (dyslexiatreaters.com). Dr. Carosso, who holds a Graduate Certificate in Applied Behavioral Analysis in Special Education, has conducted more than 20,000 evaluations on children with autism, learning problems and dyslexia, attention-deficit, trauma, depression, bipolar, anxiety, obsessive compulsive disorder, and related difficulties. He has supervised dozens of clinical teams and regularly provides consultation to organizations, agencies, and parents at 6 office locations in four counties counties. Dr. Carosso also has presented at regional conferences, served on the advisory boards of local autism societies, and has served for over 10 years as an evaluator and expert witness in child welfare cases. He produces a video series, "Dr. C's Morning Minute," that provides helpful strategies for effectively managing childhood autism, ADHD, and behavioral, emotional and learning issues. Dr. Carosso formerly co-hosted the Live weekly PCNC cable television program "Community Psychiatric Centers Presents", targeting child mental health issues, and was a regular guest on various talk shows, including "Night Talk", discussing childhood issues and related current events.